Is it Safe for Kids to Snorkel in Cabo? 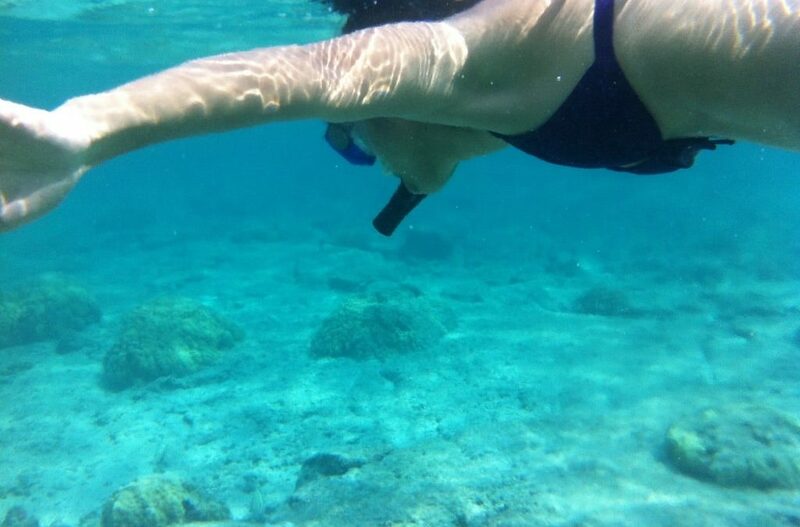 Snorkeling is a fun vacation activity that you might want to share with your kids. Here is some information on snorkeling in Cabo so you can decide if it’s a good fit for your family! Sharing its coastline with the Sea of Cortez, Cabo is a hot spot for a whole host of water-based activities, including cruising, whale watching, snorkeling and scuba diving. It is understandable that parents booking a family vacation need to consider the availability of kid-friendly activities. In theory, the answer is yes, children can snorkel in Cabo, however, in this article we’ll be exploring whether the large variety of Snorkeling trips Cabo offers are suitable for your children. Many of you reading this will have a good idea of what Snorkeling is, but for those who are unsure, understanding what Snorkeling is can be a key consideration as to whether it is best for your child to take part. Snorkeling is a common holiday leisure activity, involving wearing a diving mask, with a shaped breathing tube called a snorkel, with flippers or swimming fins often being used. Snorkeling in colder waters may require a wetsuit, but in tropical waters like those found around Cabo, standard swimming attire can be worn. While it is true that most of the waters around Cabo are un-swimmable, due to large waves and strong undercurrents, it is a common misconception that all of the waters of the Sea of Cortez are unsafe. There are, however, several beaches with designated safe to swim areas that have calm waters perfect for a beginner or child to try their hand at snorkeling. See also: Top 5 Spots for Snorkeling in Cabo San Lucas. It’s advisable to do your research when selecting a beach if you have the intention of swimming or Snorkeling, or better still checking out the many available Snorkeling cruises will ensure safe Snorkeling with equipment supplied. As previously mentioned, you may decide that the best option for Snorkeling with your family is to take part in a snorkeling trip. These can be a great option for a stress-free morning or afternoon, as everything is included for you. Trips last between 2-3 hours, include light lunch, equipment, even including towels and wetsuits on colder days. A variety of destinations are offered, including the bays of Santa Maria and Chileno, which are noted as being the most popular and swimmable, and therefore ideal for children. Best of all, trained and certified instructors are on hand to make sure your family is Snorkeling safely. Running in the morning, afternoon, and evening, these trips are ideal to fit into your itinerary, allowing ‘down time’ for afternoon naps, or a morning activity to burn excess energy. If your child often experiences anxiety or is nervous surrounding new experiences, it may be best to ‘test run’ Snorkeling in your resort’s pool. Allowing your child to discover a new activity in a familiar and contained space is a great way to not only increase their confidence surrounding Snorkeling, but also gauge their reactions towards the activity. This will require you to either buy or rent equipment, but, if you find your child is uncomfortable or, doesn’t enjoy the experience of Snorkeling, the outlay is far cheaper than a cruise. Talking to your child about Snorkeling is also a must. Let them know what to expect and what they might see or encounter. Cabos’ waters are known for their abundant marine life, and if your kid is not prepared for this, they may become alarmed or overwhelmed. A great tip is watching videos online with your child. This will familiarize them with the Sea of Cortez, as well as build excitement for their Snorkeling trip! Cabo also offers a variety of cruises on sailing boats or yachts, which can be a great way to familiarize your child with the vastness of the ocean, particularly if this is their first experience with the sea. 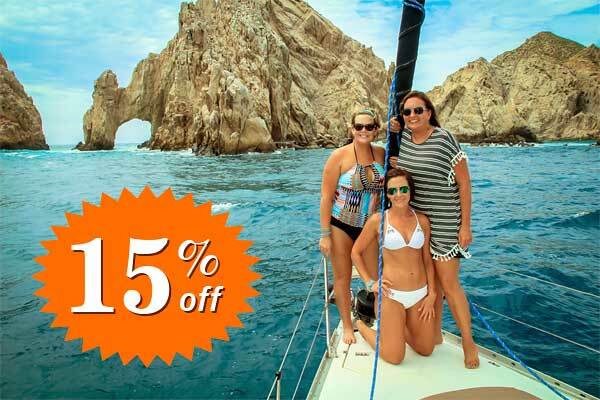 This will allow your child to explore the ocean from the safety of a boat, as well as allowing you to enjoy precious family time, take fabulous photos, and maybe even spy one of the whales which Cabo is so famous for. >Over all, the most important factor for deciding if a Snorkeling trip is advisable is the wealth of knowledge you already have about your child. Do they like water activities? Are they comfortable with swimming? Do they become distressed when objects cover their face? Answering questions such as these will help you to decide the best option for you and your family. While Snorkeling can be a magical activity to enjoy as a family, if in the end you decide it isn’t suitable for one or more members of your group, there are still plenty of other incredible experiences the whole family can enjoy. Whale watching trips, for example, can not only be a once in a lifetime experience for all, but also a valuable learning experience for your child. Cabo also offers a plethora of land-based activities, such as exploring downtown, finding treasure when beachcombing or simply relaxing by the pool while the kids play. What Cabo can offer for you and your family can be personalized, creating a trip that makes magical memories for years to come.